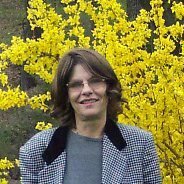 My apologies in advance to those of you that read all of my many blogs, as I am quite deliberately posting the same info on just about all of them. The reason? I think it's important to "spread the word" about an effort to raise money for breast cancer research. 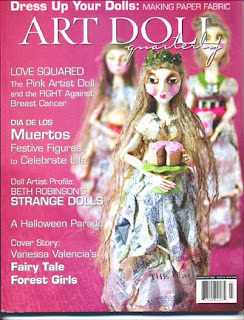 The Fall 2008 issue of Art Doll Quarterly is now on the newstands, and I went last night to pick up my copy. 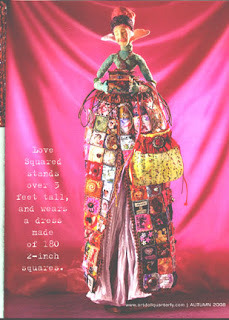 In this issue (starting on page 50) is the write up about the Pink Artist Doll that I donated two squares for earlier in the year. We got top billing on the cover and an amazing write up in the "from the editor" page of the issue as well as the article that our leader, Monica Magness, wrote about the project. For more information about a chance to win this beautiful creation (and have your money go to a great cause! ), use this link to get further information from our project leader. Beautiful!!! And what a great cause!!! I'm going to check and see if I can make a donation after I pay bills tomorrow.